Specialized Saddles Fleece Trail Fenders are ideal for horse back riders that need extra leg cushion especially around the knee for a more comfortable riding experience. They are made with our soft sheepskin and backed in our signature oil tan leather that is sweat and water resistant and keeps fenders looking great for years to come. Specialized Saddles Fleece Trail Fenders are ideal for horse back riders that need extra leg cushion especially around the knee for a more comfortable riding experience. They are made with our soft sheepskin and backed in our signature oil tan leather that is sweat and water resistant and keeps fenders looking great for years to come. 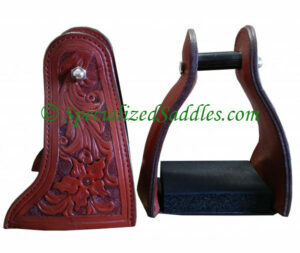 They are hand made to specification with 1.5″ biothane stirrup leathers and require a 1.5″ to 2″ stirrup neck. The biothane sitrrup leather on the fleece trail fender is very flexible, requires no breaking in and is extremely durable and easy to clean. 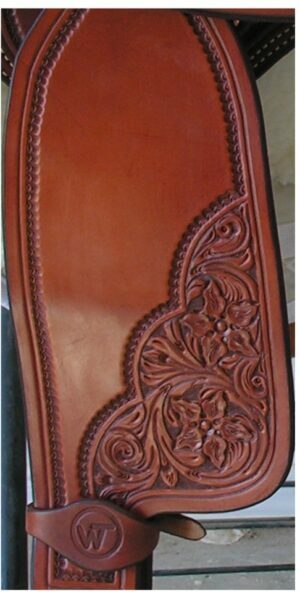 The biothane strap does not pull the ankle in towards the horses barrel when a foot is in the stirrup like traditional leather necked fenders do. It instead lets the foot and leg move freely with the horse. With the biothane neck the ankle and knee position themselves where is best suited for the rider. 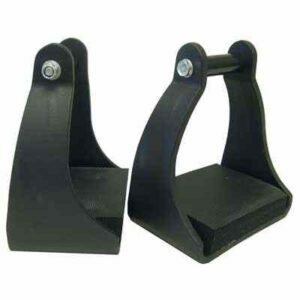 This relieves unnecessary pressure on the knees and ankles and makes riding less stressful and more enjoyable for the rider. 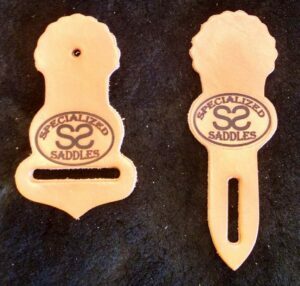 Specialized Saddles Fleece Trail Fenders also feature a roller buckle and is easy to adjust stirrup length even when on the horse. 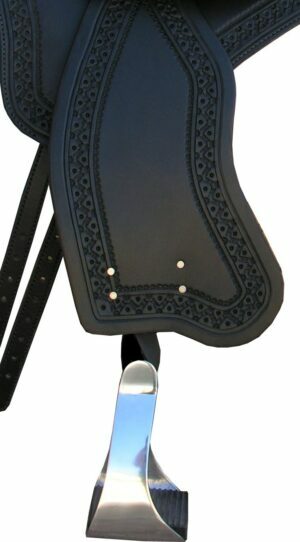 This feature is particularly helpful when a saddle is used by multiple riders. 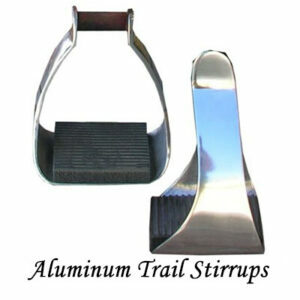 Fleece trail fenders are available in black, bone, camel and chocolate fleece. Sold by the Pair. 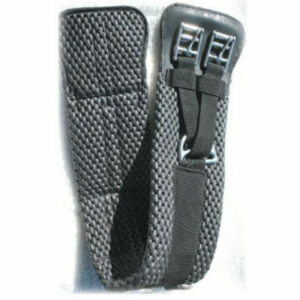 Includes hobble strap.